Download the discussion questions by Dr. Friedman. 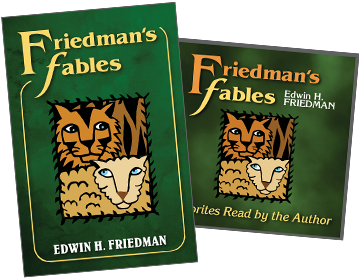 Edwin H. Friedman narrates 15 of his best-loved fables that offer fresh perspectives on familiar human foibles and reflect the author's humor, pathos, and understanding. Recorded before the author passed away, these classic fables are now available as an audio download for the first time. Friedman takes on resistance and other "demons" to show that neither insight, nor encouragement, nor intimidation can in themselves motivate an unmotivated person to change. These tales playfully demonstrate that new ideas, new questions, and imagination, more than accepted wisdom, provide each of us with the keys to overcoming stubborn emotional barriers and facilitating real change both in ourselves and others. Thought-provoking discussion questions for each fable can be downloaded and printed in a convenient 8½" x 11" size (www.guilford.com/audio-fables-discussion). 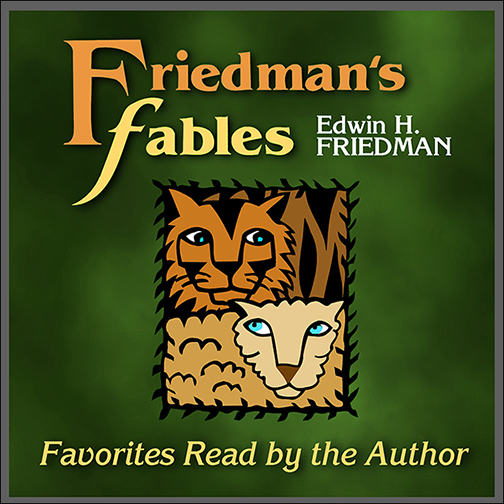 See also Friedman's Fables (print edition), the classic book featuring the 15 fables from the audiobook, plus 9 more, with discussion questions for all.